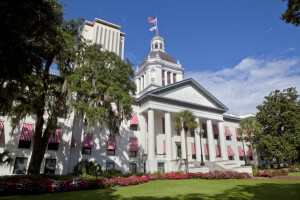 A Florida assignment-of-benefits bill with the potential to set a difficult precedent for the the collision repair industry appears to be effectively dead in the Senate and House, a situation bemoaned by insurers on Friday. The bill would allow insurers to block policyholders from transferring benefits to third parties altogether. It was meant to target water damage contractors, but the auto body industry would seem to be affected by the implications of opening that door. But the Legislature is about to end, and the Senate version of the bill, SB 1064, wasn’t considered April 15 despite being scheduled by the Judiciary Committee, and the House version, HB 669, has been sent to the Regulatory Affairs Committee but not scheduled. Neither committee has any more meetings this session, which ends April 24, and bills don’t carry over to next session, according to Multistate Associates. “The FPCA’s member companies are calling on the legislature to not let this problem fester, but meet the challenge head-on and put an end to these abusive practices that are harming consumers and raising insurance rates,” association Executive Director William Stander said in a statement. Right now, the law states that any policyholder can “assign” claim benefits to a third party unless it’s prohibited by a contract with an insurer, and such restrictions have been supported by the Florida Supreme Court. However, the Florida Supreme Court has also held that those prohibitions are only enforceable before a loss happens, according to a bill analysis for the Florida Senate. Senate and House analyses both observed that the assignments are common with health insurance; they didn’t mention auto insurance.